Hillary Clinton now wearing “Life Alert” at public events such as ozy.com? 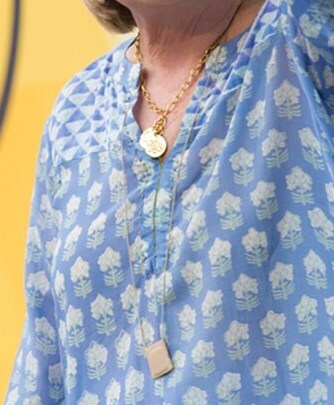 Was former Presidential candidate Hillary Clinton while at Ozy.com on July 22, 2018 wearing a Life Alert type device? It is hard to tell from the photos we’ve seen. 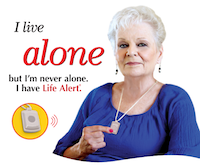 It clearly does not match the “Life Alert” brand exactly, but it doesn’t match her jewelry either. It seems a lot more functional.